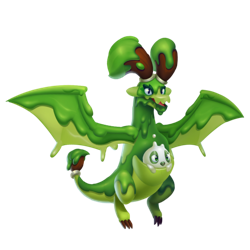 The Tempera Dragon struts her stuff around Dragon City and thinks she’s in high demand because she’s worked with some of the world’s most famous artists. If her brushes aren’t washed and her canvases are not ready she will release her rage. Tempera is not Currently Breedable. Sorry. These dragons can all critical hit against Tempera, but won't be critical hit by Tempera.